Ever wish you could communicate better with challenging individuals? Attend NCRA’s 2019 Business Summit being held Feb. 1-3 in San Diego, Calif., and learn how to effectively communicate with difficult people. Registration is still open online or onsite at the beautiful Manchester Grand Hyatt, which is keeping the special rate room block open until rooms sell out. Led by Dr. Wendy L. Patrick, this interactive session will teach attendees how to use specific communication techniques designed to communicate with challenging individuals in order to enhance your ability to effectively converse with a wide variety of difficult people. Patrick is a career trial attorney and has been recognized by her peers as one of the 2015 Top Ten Criminal Attorneys in San Diego by the San Diego Daily Transcript. She was also named the 2014 Public Lawyer of the Year by the California State Bar Public Law Section. Her legal experience includes having completed more than 160 trials ranging from hate crimes to domestic violence to first-degree murder. She is also a faculty member at San Diego State University where she teaches upper division business ethics in the Management Department of the College of Business Administration, both on campus and abroad. According to Patrick, when you understand your audience, you are better able to understand their basic needs and communication style, which will maximize the productivity of your communication, business or social. 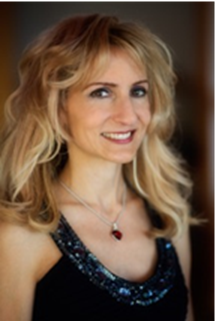 In her session, attendees will learn how altering the way you perceive and respond to temperament and behavior can aid you in accommodating the most challenging personalities. During her presentation, Patrick will apply the techniques and methods discussed in two of her books, Reading People and Red Flags, to the art of communicating with difficult people in a variety of settings in order to maximize successful communication. 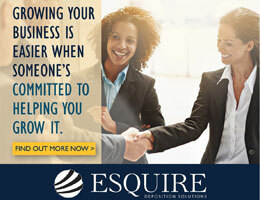 While at the NCRA Business Summit, don’t miss the chance to rub shoulders with representatives from sponsors of the event, including: Elite Reporting; Esquire (Super Bowl Party Sponsor); Translation by Design; Remote Counsel; Global Interpreting Network; Mercer; YesLaw; LitUp; Thomson Reuters; NCRF; and Veritext (Opening Reception Sponsor). 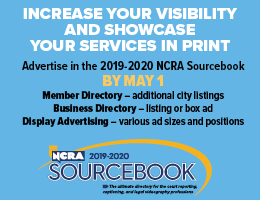 NCRA is so excited about this year’s slate of cutting-edge sessions that it is not raising the price of onsite registration. In addition, the host hotel, the beautiful Manchester Grand Hyatt, is keeping the special rate room block open until rooms sell out.